Book | 1995 | More titles to the topic Series: Arbeitshilfen / Deutsches Bibliotheksinstitut.Availability: Items available for loan: [Call number: BID 700 S] (1). 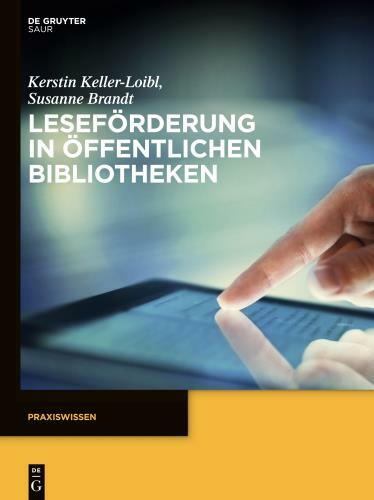 Book | 2015 | Bilderbuch | Leseförderung | Kinderbibliothek | Bildbetrachtung | Medienkompetenz | More titles to the topic Series: B.I.T.online - Innovativ 55.Availability: Items available for loan: [Call number: BID 700 S] (1). by Deutsches Bibliotheksinstitut <Berlin> / Expertengruppe Controlling in Öffentlichen Bibliotheken. Book | 1994 | More titles to the topic Series: Arbeitshilfen / Deutsches Bibliotheksinstitut.Availability: Items available for loan: [Call number: BID 400 C] (1). Book | 1992 | More titles to the topic Series: Dbi-Materialien: 1Availability: Items available for loan: [Call number: BID 5 D] (2). Book | 1992 | More titles to the topic Series: Dbi-Materialien: 2Availability: Items available for loan: [Call number: BID 5 D] (2). Book | 1994 | More titles to the topic Series: Dbi-Materialien: 1Availability: Items available for loan: [Call number: BID 5 D] (1). Book | 1997 | More titles to the topic Series: Dbi-Materialien: 2Availability: Items available for loan: [Call number: BID 5 D] (2). 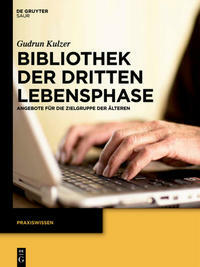 by Deutsches Bibliotheksinstitut | Schmitt, Rita | Glashoff, Ilona. Book | 1997 | More titles to the topic Series: Dbi-Materialien: 3Availability: Items available for loan: [Call number: BID 5 D] (2). 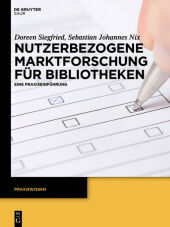 by Deutsches Bibliotheksinstitut | Seefeldt, Jürgen. Book | 1984 | More titles to the topic Series: Dbi-Materialien: 36Availability: Items available for loan: [Call number: BID 5 D] (1). by Deutsches Bibliotheksinstitut | Fischer-Knappe, Doris. Book | 1984 | More titles to the topic Series: Dbi-Materialien: 31Availability: Items available for loan: [Call number: BID 5 D] (1). by Deutsches Bibliotheksinstitut | Käufer, Hugo Ernst [Herausgeber]. Book | 1982 | Soziale Bibliotheksarbeit | More titles to the topic Series: Dbi-Materialien: 18Availability: Items available for loan: [Call number: BID 5 D] (1). by Deutsches Bibliotheksinstitut | Vogt, Hans Joachim [Herausgeber]. Book | 1984 | Ausländerarbeit | Öffentliche Bibliothek | More titles to the topic Series: Dbi-Materialien: 34Availability: Items available for loan: [Call number: BID 5 D] (1). 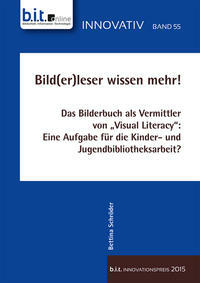 by Deutsches Bibliotheksinstitut | Borchardt, Peter. Book | 1987 | Benutzerforschung | Marketing | Öffentliche Bibliothek | More titles to the topic Series: Dbi-Materialien: 71Availability: Items available for loan: [Call number: BID 5 D] (1). by Einkaufszentrale für öffentliche Bibliotheken. Book | 1993 | More titles to the topic Series: Ekz-Konzepte: 1Availability: Items available for loan: [Call number: BID 700 E] (2). Book | 1995 | More titles to the topic Series: Ekz-Konzepte: 3Availability: Items available for loan: [Call number: BID 400 E] (1). by Belz, Janina | Harmgarth, Friederike [Herausgeber]. Book | 1997 | Umfrage | Leseinteresse | Schule | Leseförderung | Öffentliche Bibliothek | Deutschland | More titles to the topic Availability: Items available for loan: [Call number: ALLG 621 L] (1).